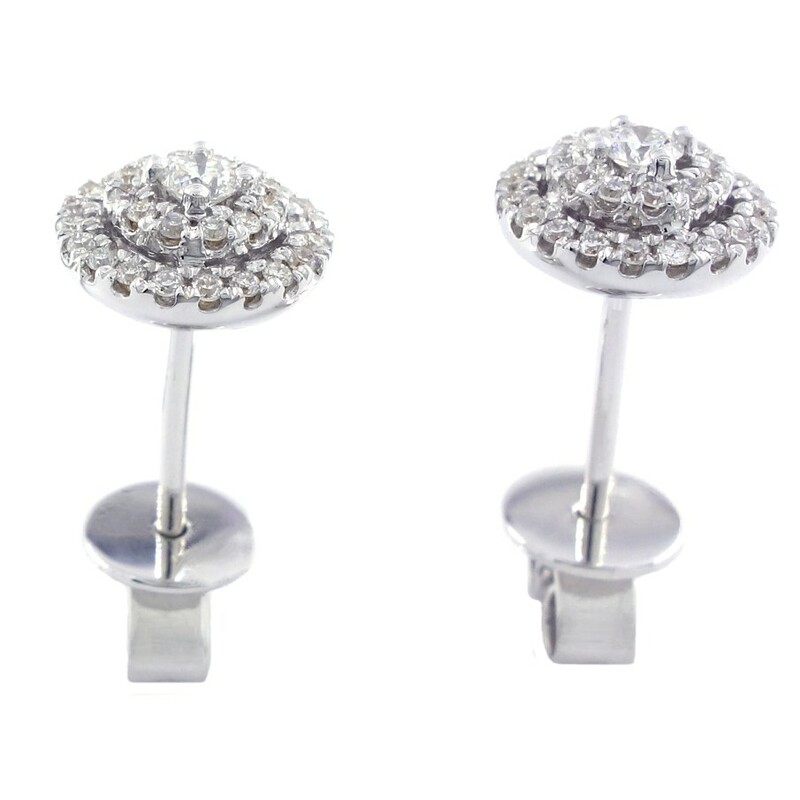 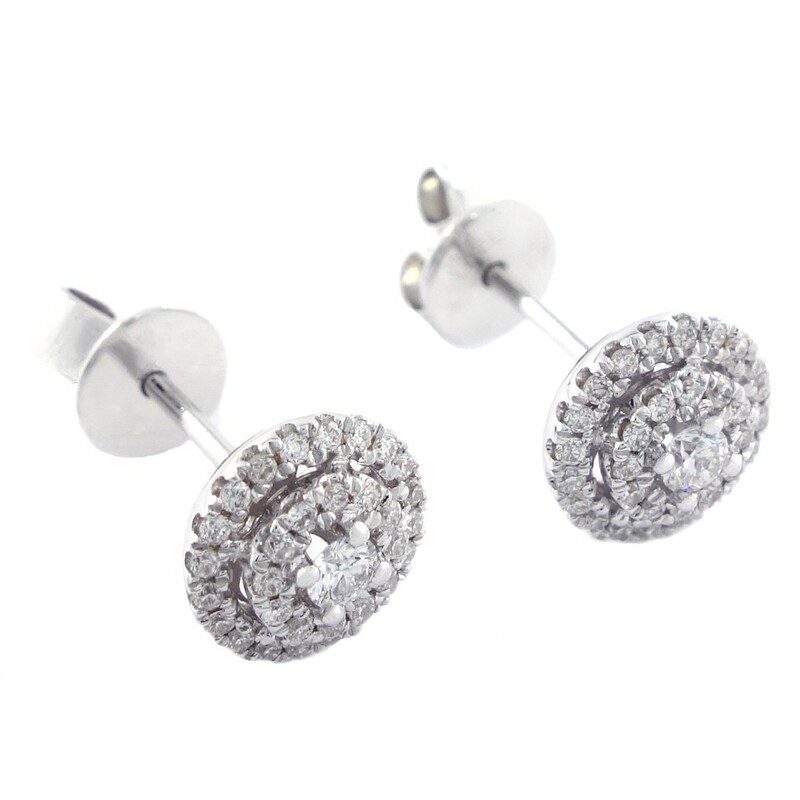 This intriguing pair of diamond earrings has been set with a total of 66 diamonds and is made of 18k white gold. 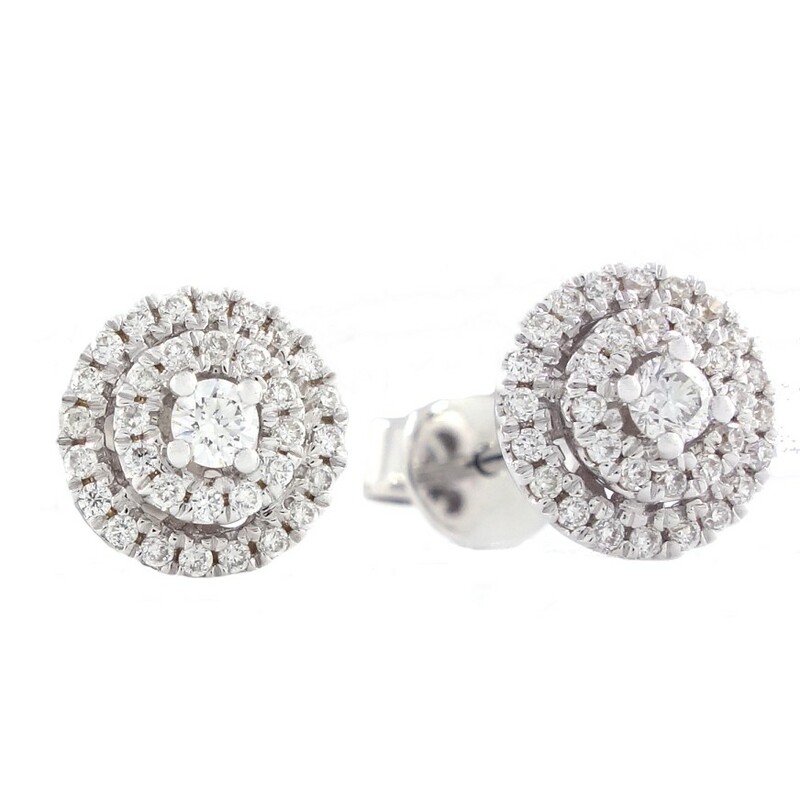 The pair of diamond earrings you are currently viewing is a fine jewel that makes a standout addition to your jewelry collection and is a perfect piece for an expensive outfit. The diamonds on this pair of diamond earrings have been expertly set by hand by an experienced setter using a technique involving a microscope, which ensures a top level finish.